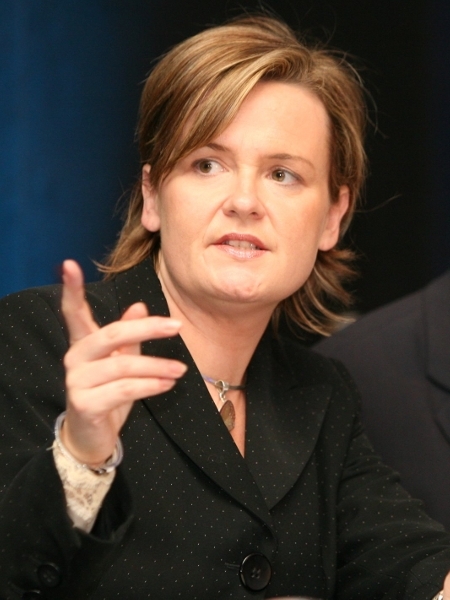 Deirdre Somers was appointed as Chief Executive of the Irish Stock Exchange (ISE) in June 2007. The ISE is Ireland's only stock exchange and was founded in 1793. It was first recognised by legislation in 1799 when the Irish Parliament passed the Stock Exchange (Dublin) Act. At different periods in its history, the ISE included a number of regional exchanges, including the Cork, Belfast and Dublin exchanges. In 1973, the Irish exchange merged with the other British and Irish stock exchanges becoming part of the International Stock Exchange of Great Britain and Ireland (now called the London Stock Exchange). In 1995, it became independent again and since then has expanded internationally and established itself as one of the largest global listing centres for international fund and debt securities. On 6 June 2000, the ISE closed its trading floor in Anglesea Street, Dublin 2, and switched to an electronic trading platform, ISE Xetra which has enabled it to expand its membership base to include international banks and investment firms based across Europe. The trading platform is based on the same trading platform used by the Deutsche B�rse Group. Trading on the ISE is settled via the CREST settlement system which is operated by Euroclear (UK and Ireland) and cleared by Eurex Clearing AG. The ISE operates three markets – the Main Securities Market, the principal market for Irish and overseas companies; the Enterprise Securities Market (ESM), an equity market designed for growth companies; and the Global Exchange Market (GEM), a specialist debt market for professional investors. The published index of shares is known as the Irish Stock Exchange Quotient or ISEQ Overall Index. During 2010 the exchange became regulated by the Financial Regulator under the Markets in Financial Instruments Regulations (MiFID). The ISE is a member of the World Federation of Exchanges and the Federation of European Stock Exchanges. The number of equity companies quoted is dwindling as companies go broke, de-list or move overseas but their lucrative fund and debt securities listings could prove attractive to other exchanges, although an Irish Parliamentary committee in December 2009 was told that the ISE do not intend to merge with a larger rival. In April 2010, the chief executive of the Financial Regulator told the same committee that "senior management of the exchange should step up to the plate" after failing to help charities, credit unions and private clients who received letters informing them that many investments made by stockbrokers over the past decade were worthless. Previously Somers was Director of Listing, where she had responsibility for domestic and international listings. During her tenure the ISE became a leader in the listing of international investment funds and structured and straight debt instruments. She also oversaw the establishment of IEX - the specialized junior market for Irish enterprise. She has chaired a number of EU Council securities legislation groups. A chartered accountant, prior to joining the ISE in 1995 she specialised in international tax with KPMG.